Prepare the vinaigrette, chopping the onion and peppers. Cover with oil and add a splash of vinegar. We beat them all and let them macerate. 4 potatoes into thick slices, Cook for 5 minutes. 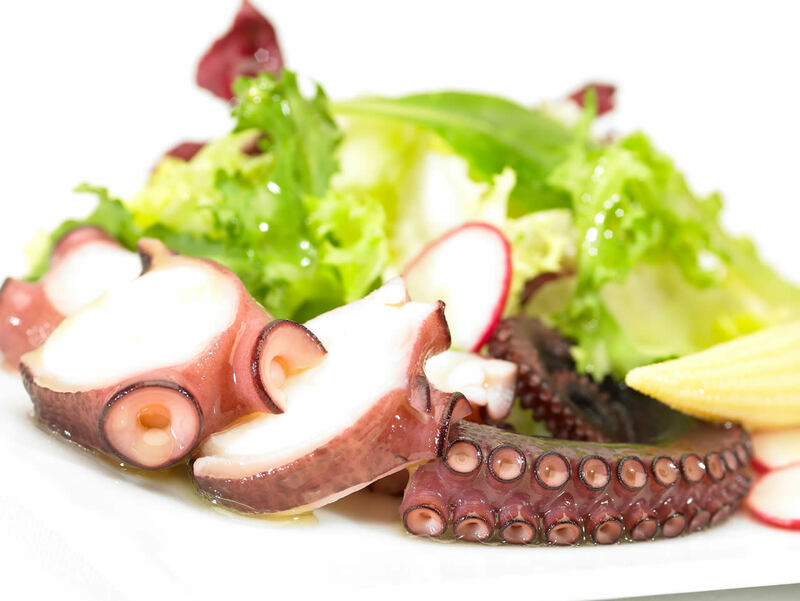 In a source, place a base of potato under mayonnaise, We put over the lettuce and extend the Octopus and the radishes. Salted and dress with vinaigrette.